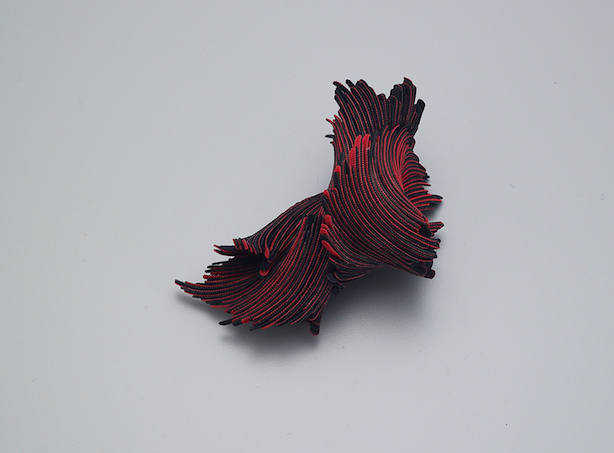 A native of Seoul, Korea, Yong Joo Kim received her MFA in Jewelry and Metalsmithing from the Rhode Island School of Design. She is a Society of Arts and Crafts and NICHE award-winning artist with an extensive record of exhibitions across Europe, Asia, North America, and Australia. 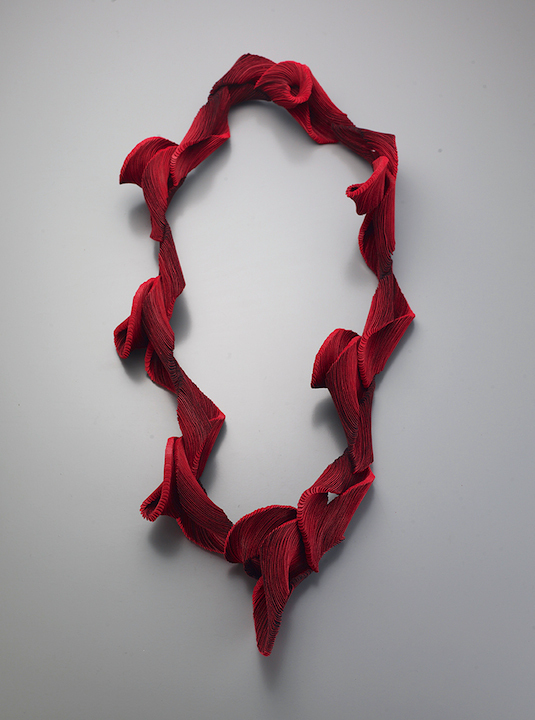 Considered a pioneer in the use of hook-and-loop fasteners as material for art, Yong Joo crosses the genre of both wearable sculpture and installations. Her work appears in the permanent collection of Museum of Arts and Design (MAD), Victoria and Albert Museum, Art Gallery of South Australia (AGSA), National Museum of Modern and Contemporary Art’s Art Bank (MMCA), and Velcro Group. While most would find the material unattractive, mundane, or insignificant, she has continually produced beautiful work inspired by the qualities of uncovered from within the Velcro. She leverages her interaction with the material to improvise, letting herself be surprised. She finds such a relationship between mastery, variety, and sustainability fascinating. Art that provides us with experiences of sublime, inspiration, and beauty, which helps us realize that there still exists infinite possibilities.